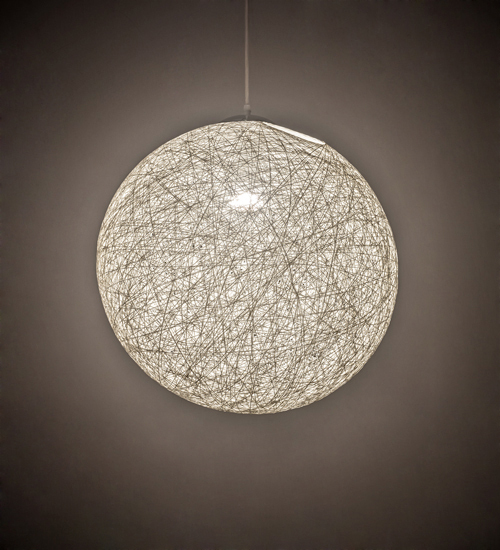 Description: This stunning pendant features the unique look of a delightful ball of yarn. The brilliant diffuser is enhanced with handsome hardware in a hand applied finish. The overall height of this pendant ranges from 24 to 101 inches as the aircraft cable length can be easily adjusted in the field to accommodate your specific lighting application needs. Additional sizes are available. UL and cUL listed for dry and damp locations.